I’ve been pretty busy since my last post, despite being on ‘holiday’ from work (i.e. waiting for a new project). As well as working on book 2 (of which I have made some progress, and shifted to a more sensible deadline of the end of June), I’ve had my first two author events. Exciting! The first one was online – where I took part in THE Book Club‘s first ever Book of the Month event. 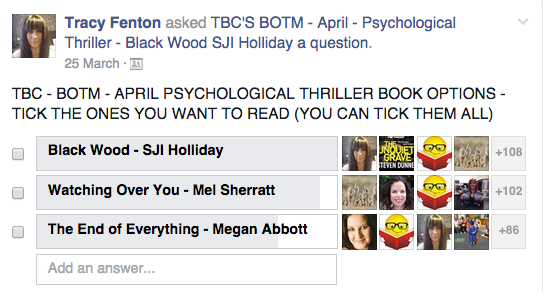 Black Wood was chosen by the readers, who first selected the genre (psychological), then the book – I was up against Mel Sherratt and Megan Abbott, and in the end it was a very close thing! Where I won by a mere 6 votes! A Q&A was held on 30th April (after a month, where the members of the club had to download and read my book) and then the fun began. I say fun, it was 5h of hard work, as hundreds of readers left comments, feedback and questions and I had to keep up with it all, discussing the book not only with those who enjoyed it, but those who didn’t. I did three competitions – one to win a signed book, one for a tote bag and the third for a character name in my next novel. Overall, it was great fun but not for the faint hearted – but what it taught me (apart from the fact that most of these readers were used to reading far gorier books than mine) is that people who might not like my book might still like me, so I think I managed to convert some detractors who are now looking forward to the next book. From the feedback received, i think the readers really enjoyed it too. 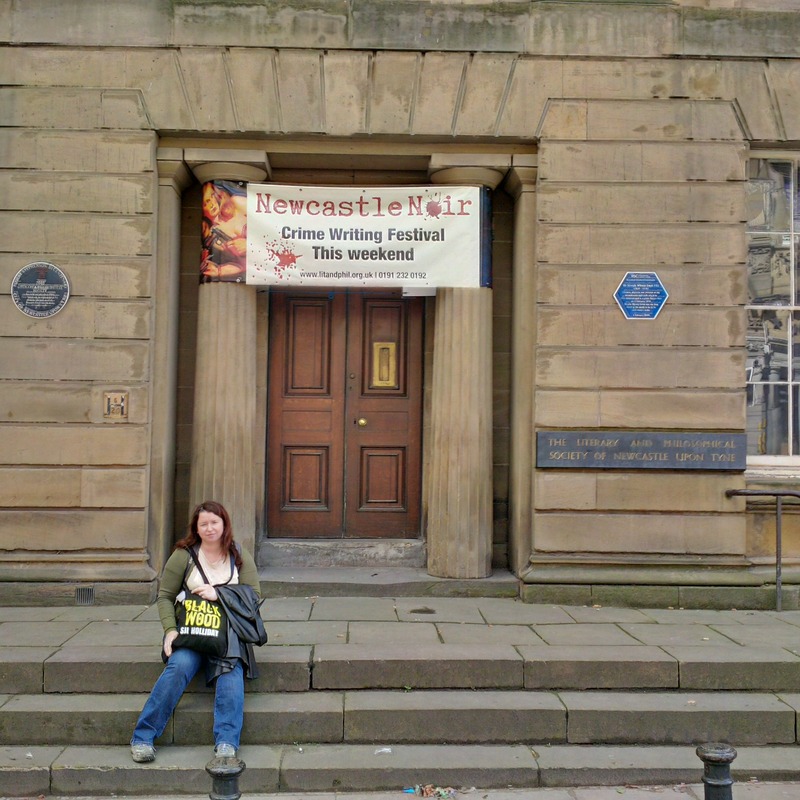 Then came my first real life event – a panel at Newcastle Noir over the bank holiday weekend. This was held at the historic Lit and Phil building in Newcastle, which has the most beautiful library I’ve ever seen. This is me outside 🙂 I didn’t take any photos inside, but there are some on their website here. I arrived on Saturday afternoon, and after meeting up with some of the other authors, attended an event that is always worth seeing – Mark Billingham and Martyn Waites in Conversation. I’ve seen these two before, and I love the way they use their skills as actors and comedians to talk about their lives and their books in the most hilarious of ways. 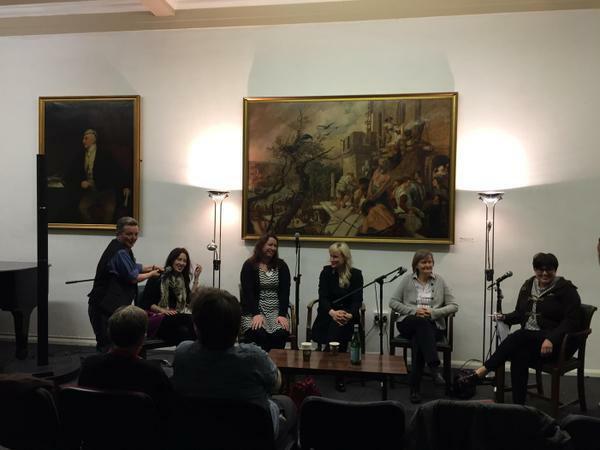 That evening, it was a night out with the other authors (again!). Yes, it was a late one. The next day, we had a quiet morning, before having Sunday lunch and on to the next event – Steve Cavanagh, Clare Donoghue and Peter Murphy. 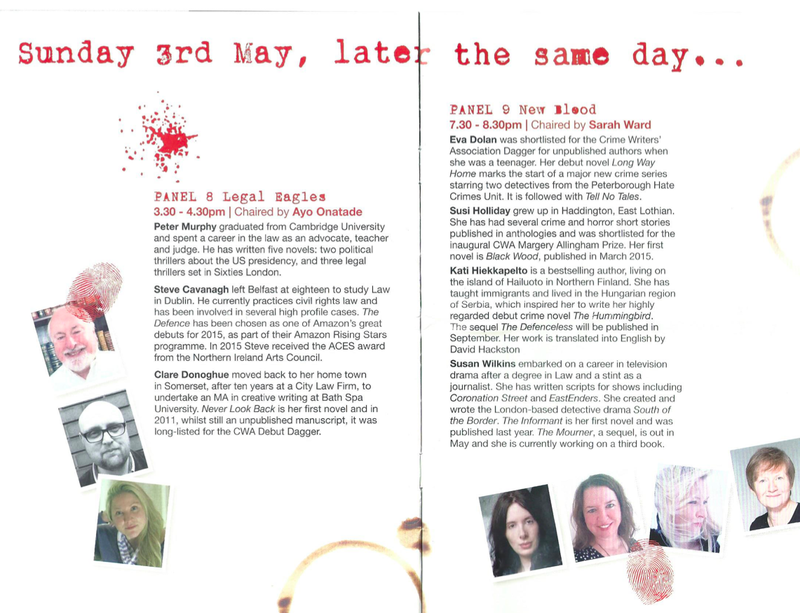 This was a fantastic panel about the legal profession and how these authors have used it in their books. Steve, in particular, was hilarious – especially as he told us he only became a lawyer as he joined the wrong queue at university! Then it was off to prepare for the last panel of the weekend… The Girls! 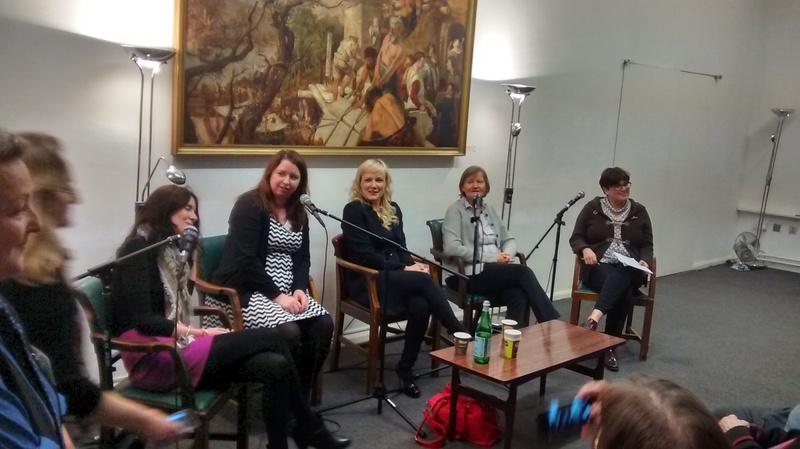 Me, Eva Dolan, Susan Wilkins and Kati Hiekkapelto, chaired by Sarah Ward. I wasn’t really nervous at all, until I sat down and looked at the audience while Jacky, the organiser, sorted out the microphones etc. Once I started though, it was easy to be led along by the excellent questions from Sarah and the responses from the other panelists. 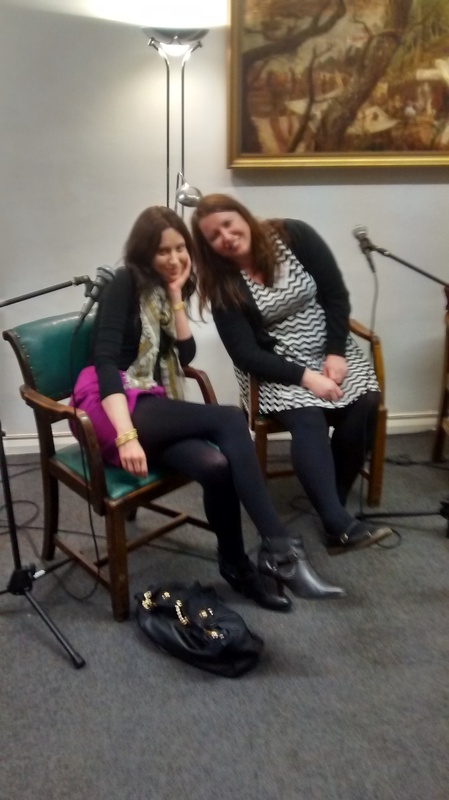 We all got on well and seemed to cover a variety of issues, keeping things entertaining by quips from Eva Dolan – who was asked at the end if she’d ever considered switching from crime to comedy! 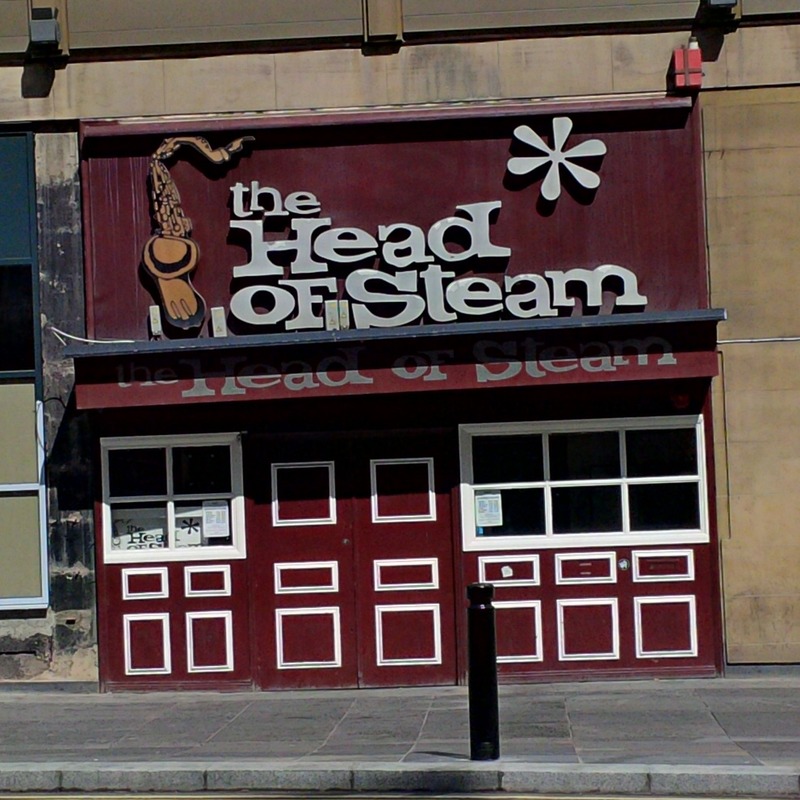 The weekend was topped off with a trip to another bar, and a late night sausage roll from Greggs… only in Newcastle! I loved the whole event and it was great meeting up with authors, reviews and readers – only sorry I missed the other panels, I will definitely go back next year. 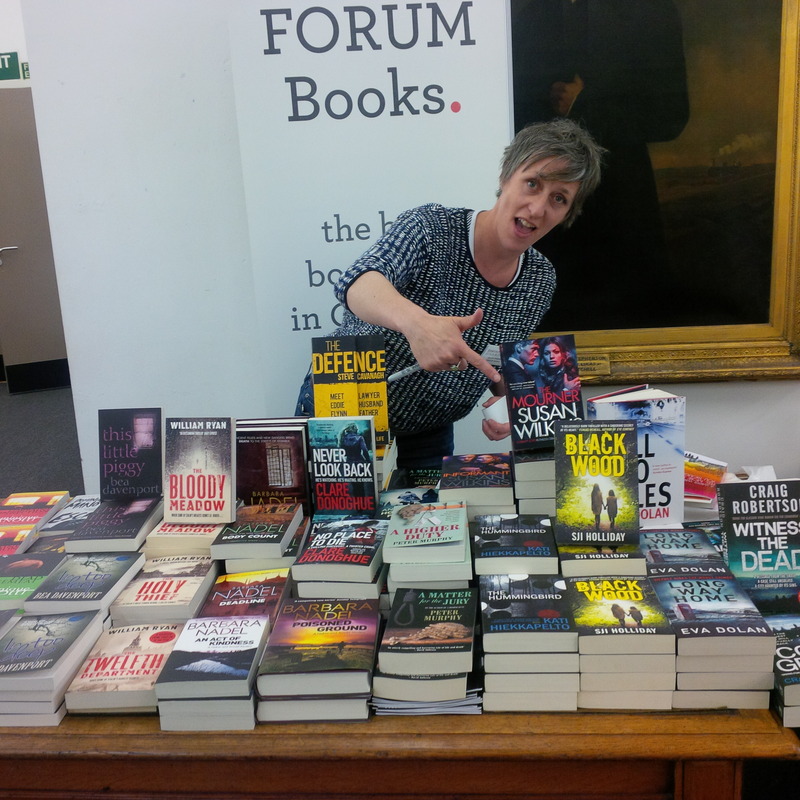 My first two events were a great success – and I can’t wait for the next one – Crimefest in Bristol, next weekend! One of the big things that many authors (especially debut authors) get excited about is book launches. It’s certainly something that I daydream about while waiting to hear the fate of my book with publishers. Often self-published and small-press authors have to arrange and pay for the launch themselves. Some publishers may not see a huge benefit in doing anything at all – after all, it might not translate into sales… but I think the birth of your book-baby is something to be celebrated, no matter on what scale. I’ve been to three launches recently (two of them this week! ), and they were all very good and very different. Sarah Pinborough launched THE LANGUAGE OF DYING at Foyles, Charing Cross Road in December. There was a lot of book browsing, an author Q&A with Will Carver, wine & cookies, and afterwards everyone went to the pub across the road. It was perfect, simple, and I met loads of interesting people, including Uber-Reviewer, Liz Wilkins. I hear that Luca and Mel are carrying on the celebrations in their home towns of Liverpool and Stoke next week… I’m looking forward to seeing photos and hearing all about those! Thanks to Sarah, Luca and Mel for inviting me to their launches: three perfect venues, three great authors, three must-read books. With Valentine’s Day approaching, I thought I’d chat about some crime duos that either had me shouting at the television just kiss! – or going gooey eyed when they were together. Okay, technically not crime but there was lots of mystery… Through their love of the weird and wonderful and Mulder’s belief in aliens and the paranormal, and Scully there to scientifically prove him wrong, they developed a friendship that became a romance by the end of the final series. The program started in September 1993 and ran until May 2002, spanning nine seasons and 202 episodes. Don’t know about you but I think that’s a mighty long time to fall in love! Now I had a love-hate relationship with this series at first because I couldn’t stand Gene Hunt and his put downs – sexist? Not at all! And then as everyone started to rave about it, I decided to give it a go, realised it for what it was, the 1970’s, and well, now it’s true love for me. Isn’t that what great writing is all about? Me and Gene – who would have thought! But Sam Tyler, played by the gorgeous John Simm, stole my heart just that little bit more than DCI Hunt (humour me, this is a post about love and John Simm is gorgeous.) Sadly, he only had eyes for PC Annie Cartwright (played by Liz White). I ‘heart’ those two, just knew they were destined to get together. I mean how could anyone not love the flowery dresses that Annie wore… I know, I know – I must have worn something similar in my day! Ah, David and Maddie; it brings back such fond memories just typing out their names. The series revolved around a bankrupt model and a failing detective agency – Maddie is coerced by David to go into partnership with him and the agency is renamed Blue Moon Investigations. The show oozed sexual tension with a mystery to solve amongst the double entrendre, and kept viewers entertained for years with the ‘will they, won’t they’ debate. I can feel my heart melting already – anyone for a BRING BACK DAVID AND MADDIE! Campaign? Dr. Temperance ‘Bones’ Brennan – witty one, she is, and brings a bit of humour to the show. As a forensic anthropologist, she helps alongside FBI Special Agent Seeley Booth (A.K.A The Yum Factor.) He gave her the nickname (Argh, I was going to write The Lovely Bones, but that’s a whole new book and film entirely) Bones, which she hates at first but comes to accept. You see, love-hate? Bless. And low and behold, finally they start getting it on near to the end of season six, and in season seven, they live together with their daughter. True love – a happy ending. Thanks Mel – a great post and a perfect excuse for me to add some hot pics! The delicious DCI John Luther and the enigmatic psychopath, Alice Morgan… these two are smokin’ hot. Can’t wait for the next series! 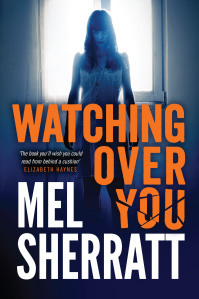 Mel is represented by Madeleine Milburn Literary Agency. You can find out more at melsherratt.co.uk on twitter as @writermels and on Facebook. So I’d like to tell you about one of the things I’ve been up to. You might have heard of a pretty cool short story anthology called Off The Record, where all the stories were based on song titles and all the proceeds went to charity… if not, you can download it for kindle here. Again, the proceeds will be donated to literary charities (National Literacy Trust – UK and Children’s Literacy Initiative – US), but this time, instead of songs, the stories are all based around a diverse range of movie titles such as ‘Dead Man Walking’, ‘The Graduate’ and ‘Gregory’s Girl’… and also, ‘Pretty Woman’ – which was written by me. I can’t tell you how thrilled I was to be invited by Luca to submit a story… and I’m delighted to be included in this collection with so many fantastic writers. I don’t really want to tell you much about ‘Pretty Woman’ as I don’t want to spoil it for anyone who decides to read it, but all I will say is that it’s of the crime genre, and it ain’t pretty! It’s out on 26th September on Amazon – and I really hope you’ll take a look. A short story collection with a great cover, filled with great authors and great stories and all for a great cause – what more could you want? !